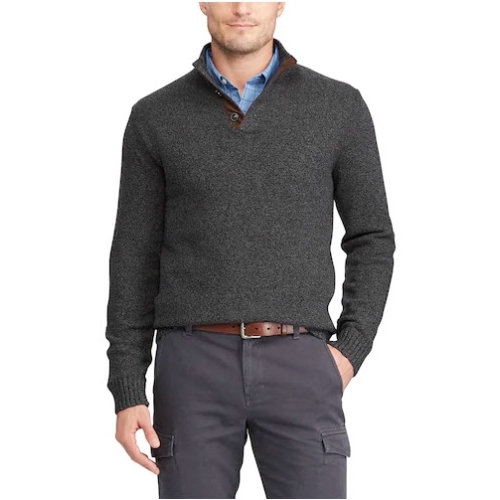 This cotton sweater perfect for layering, while elbow patches add an old-school touch. Half-Button placket. Mockneck. Long sleeves with ribbed cuffs. Elbow patches. Ribbed hem. Embroidered Chaps logo at the left chest. Machine washable. Shell: cotton; Elbow patches: polyester. Imported.